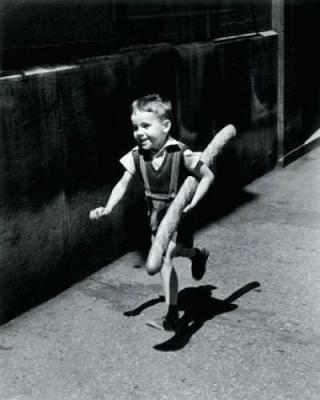 This may not be one of the most famous of Willy Ronis’ photos but it does say something about his passion for photographing daily life with humanity as well as expertise in ‘painting with light’. 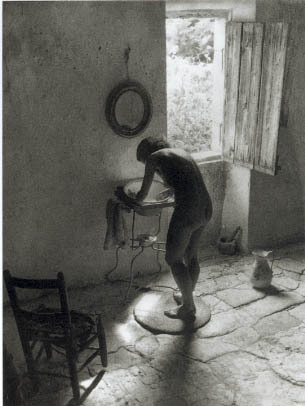 – And the biography of Willy Ronis. 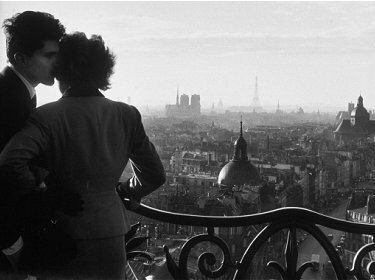 Willy Ronis was the last of a generation of French photographers who were central to the medium’s development during the 20th century. 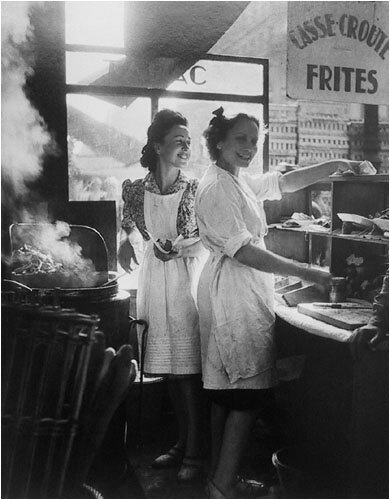 Like his contemporaries Henri Cartier-Bresson, Robert Doisneau and Brassaï, Ronis showed in the tender expressiveness he brought to his images that photography could be an art form, rather than the mere mechanical reproduction of life that it was considered in its infancy. After finishing his military service in 1932, Ronis was compelled by his father’s ill health to take on the family business (photography of course!) . Although he had been given a camera at 15 — his first picture was of the Eiffel Tower — he had developed no great interest in photography, and disliked having to take the passport pictures and baby portraits that were the shop’s stock in trade. In 1936, when his father died, he sold up. 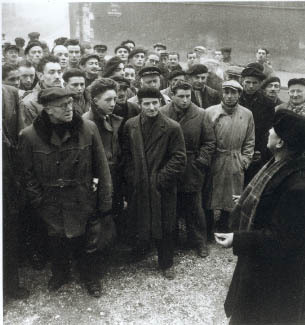 Aided by his sympathies with and connections on the Left, Ronis began to place work in Communist Party magazines and newspapers. 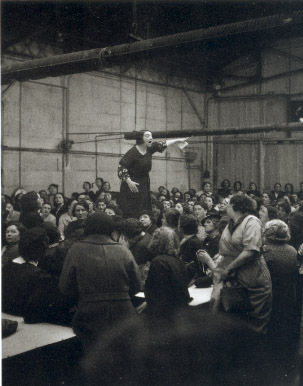 Together with Doisneau and Brassaï, he joined the Rapho agency, and took a notable series of pictures of striking workers at the Citroën plant in 1938. 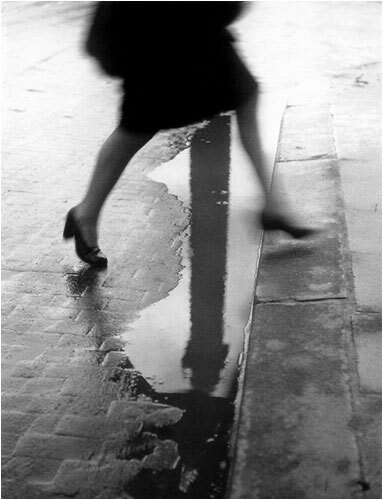 In 1953 he was also one of the “Five French Photographers” selected by the curator Edward Steichen for a show at the New York Museum of Modern Art, the others being Cartier-Bresson, Doisneau, Brassaï and Izis. 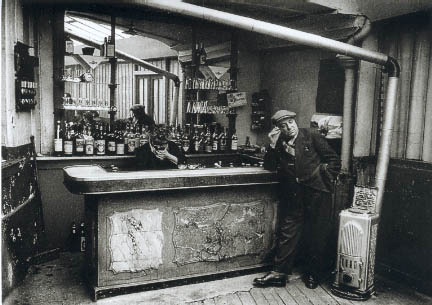 Two years later Ronis took a memorable series of shots of London, including the “French pub” in Soho. In 1957 he was awarded the Gold Medal at the Venice Biennale. 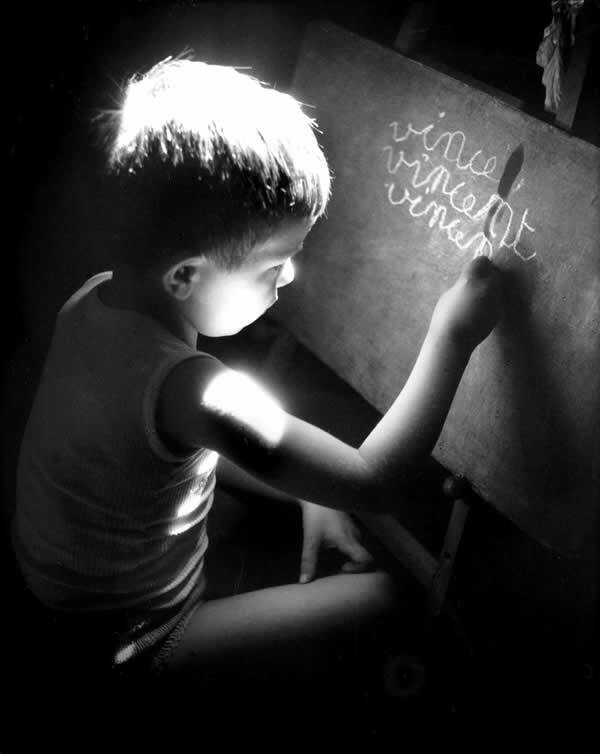 With Doisneau and Rene-Jacques, he was a key member of the Group of XV, dedicated to making photography accepted as art. Even though he was a LIFE photographer , after asking if he could write his own captions for his photographs, he never heard from them again. It seemed he was unhappy at having his photographs cropped and offered as a very different image than what he originally took. Like those contemporaries, too, Ronis became the chronicler and creator of a romantic vision of Paris now firmly lodged in the public imagination. His is eternally a city of street urchins and knife grinders, of jolly moustachioed diners and — in perhaps his best-known picture — of young lovers gazing across misty rooftops. 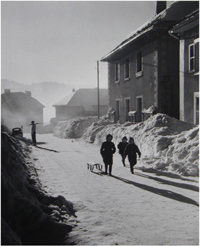 Although, in common with many of the photographers of his generation, Ronis worked as a photojournalist, and had his oeuvre shaped by the increasing portability of cameras, his main concern was not news but daily life. His most successful book, Belleville-Ménilmontant (1954), catalogued the seemingly timeless routines of the quartier that had given birth to Piaf: its steep streets and crowded tenements; a glazier back-lit by sunlight, a pane of glass on his shoulders. 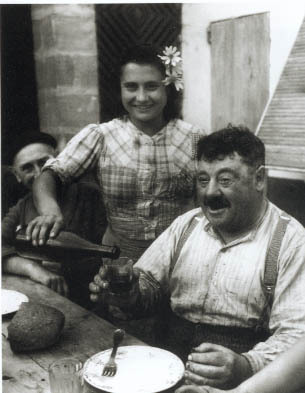 Much of his social reportage was informed by left‐wing sympathies, reinforced after the Second World War by his marriage to the painter Marie‐Anne Lansiaux (1910–91), a French Communist Party militant. As I was leaving the exhibition, this scene caught my eye.. 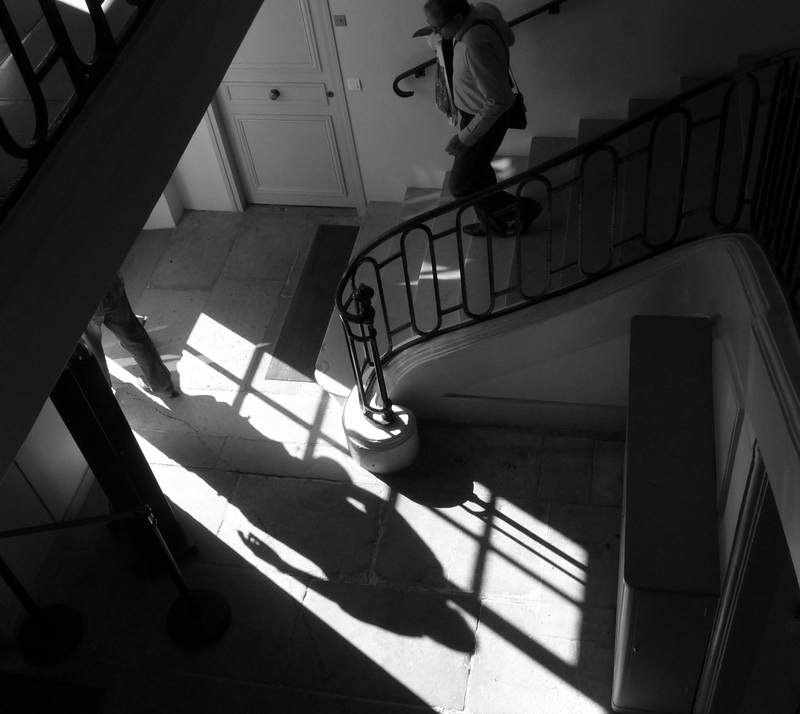 Recently I posted an article about the Maison Européenne de la Photographie. I thought I would extend my coverage of photography and Paris to include the upcoming Paris Photo. If you can’t get to Paris in November, you should at least visit the website (in English) or the French version, if you prefer, to catch up on the photographic news around Paris (which will also help you if you are lucky enough to visit Paris). Paris Photo, the world’s leading event for photography, presents a panoramic overview of photographic expression spanning the 19th century to the present day. General admission : 15 € / 7.50 € for students and groups, free for children under 10. If you go the press tab you can get an idea of the range of photographic genres, themes and more..
To attempt to put on a Fellini exhibition means to go back to the sources of Fellini’s art and studying and revealing its processes of transformation, alteration, borrowing and accumulation. The result is a set of strata combining filmic elements, photographic documents, magazine presentations of the event, TV images and works by artists. This exhibition is resolutely multidisciplinary. It sets out to offer a new grid for reading Fellini’s films. The event and the historical fact, History and anecdote, biography and fiction are the materials that, by means of confrontations, echoes and dialogues, Fellini used to built his distinctive narratives and original visual environments. 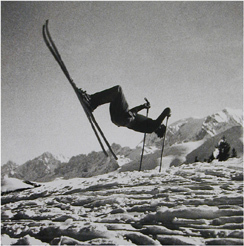 Showing the creative context of Fellini’s work in an exhibition means showing the nature of his creative mechanisms. While many now legendary scenes have come to be seen as perfect incarnations of Fellini’s prolific imagination, it now looks as if a more thorough analysis of the context will offer a fresh point of view on his work. Such a hypothesis sits well with Fellini’s own inclinations. Trained as a caricature artist in his youth, for a while he earned a living by doing portraits of GIs on leave, and all through his life he would show the same visual acuity, the same ability to gather so much more than images in his freeze-frames of reality. The exhibition at the Jeu de Paume affords a glimpse of Fellini’s creative mechanisms by showing his unique ability for absorbing the real. It comprises mainly photographs and drawings by Fellini, original film posters, period magazines and excerpts from his film. “Click! 99+1 chefs-d’oeuvre de la photographie” opens on October 30th! 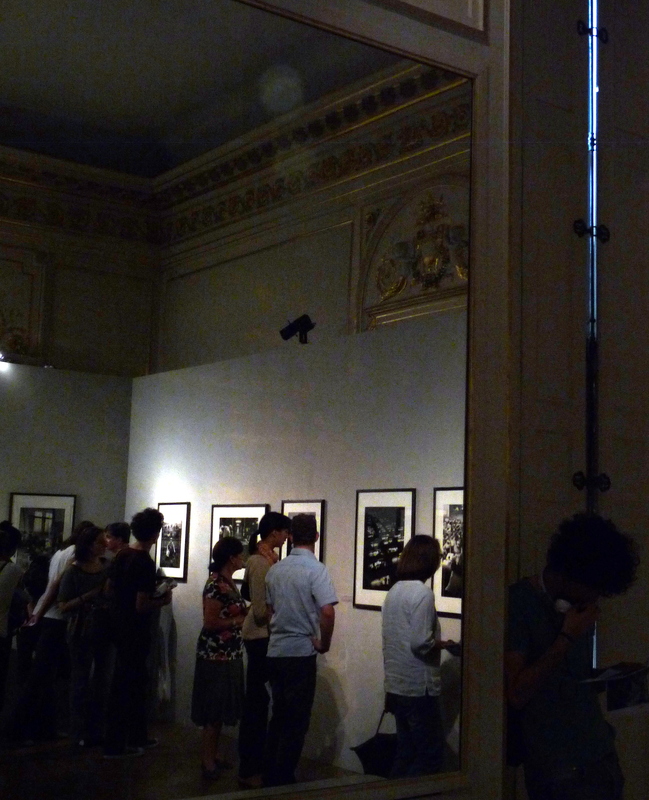 12/10/2009 – The Mairie of the 5th arrondissement, in collaboration with the Centro Italiano per le Arti e la Cultura, presents the photographic exhibition from the Giov-Anna Piras Foundation for contemporary art and photography “Click! 99+1 chefs-d’oeuvre de la photographie”, from October 30th to November 28th 2009. 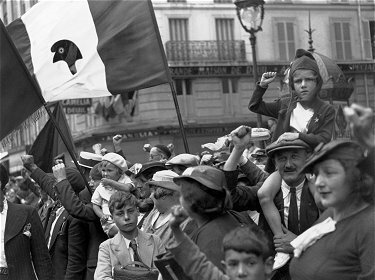 The aim of the event, on the occasion of Paris Photo, is to offer a chance to catch, in a single place, the 20th Century photographic masterpieces. Fondation Henri Cartier-Bresson, August Sander: seeing, observing, thinking 07/10/2009 – The exhibition pays tribute to the August Sander’s approach by showing portraits and landscapes alongside botanical studies. This selection of close to one hundred vintage prints of work by the German photographer (1876-1964) provides a spectacular typological and topographical overview of his era. 9 Sept – 20 Dec. 09 Tuesday to Sunday, 1 pm to 6.30 pm and Saturday from 11 am to 6.45 pm, late evening on Wednesday until 8.30 pm. Musée du quai Branly, 165 years of Iranien Photography 28/09/2009 – As part of Photoquai, 2e biennal exhibtion of photographs from around the world, the Musée du Quai Branly is dedicating an exhibition to Iranian photography and shows works starting from the earliest days during the Qajar era, through to wartime photo reportage and images by decidedly contemporary visual artists. Thursday, Friday and Saturday from 11 am to 9 pm. Apart from the photographic exhibition -this is a great museum to visit. Even if you are not walking the streets of Paris – worth browsing the sites. Bon voyage,virtuelle!